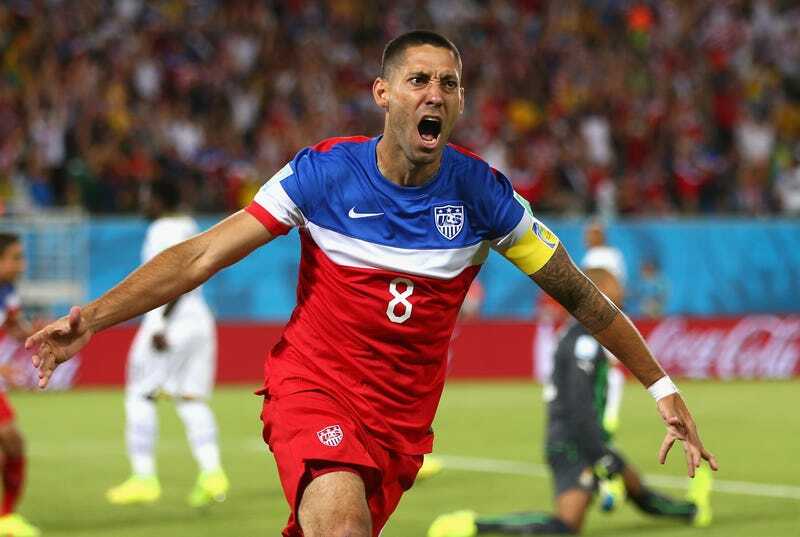 USMNT striker Clint Dempsey is a fan favorite, a hero, and by all accounts an amazing man for reasons that have little to nothing to do with his ability to dribble and kick a soccer ball. We can now include "secretly recording a rap album" as one of those reasons. According to the Wall Street Journal, Dempsey—also known as Deuce to soccer fans and probably some people on rap message boards—is dropping an album at some point in the near future. He recorded the 13-track album, called The Redux, in Los Angeles with homie and hip-hopping colleague XO. According to the WSJ, they're releasing their first single off the album, called "It's Poppin," tonight. You can hear it here. Say, that ain't bad! Deuce is from Nacogdoches in East Texas, which is in the middle of nowhere, and also sorta kinda between Houston (a rap haven), and Dallas (definitely not). He's collaborating with a gaggle of rappers and producers from Nac Town, but his sound is decidedly Houston. Deuce has been rapping all his life; here's a song he did some years ago with XO and Big Hawk. Big Hawk rest in peace. If Clint Dempsey, rap star ain't your bag, though, and you just want him to Stick To Sports, you'll be happy to know that Dempsey and the USMNT take on Portugal Sunday at 6 p.m.